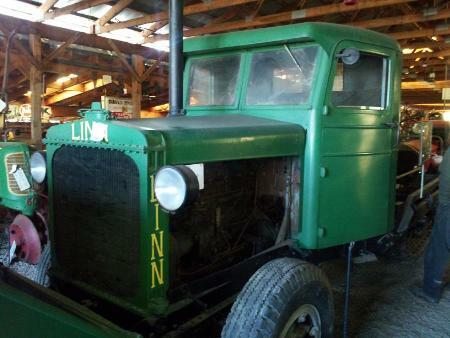 It is rare to see a steel cab Linn with doors and windshield in good shape! My understanding is this was Town of Walworth, Wayne County, NY last used plowing snow with a D8 cat shoving it through, instead of just backing up and ramming as normal, and that wrecked the wood ballast body on the back. I can only guess it was a Frink plow, but these steel cabs became standard in 1940 to dress up the tractor, but anyone I spoke with who operated or repaired them preferred the wood ones better on account or noise, heat, etc. Did you have a chance to confirm the frame serial number as 2459? On the literature displayed, the page at left from Robert Ackerson's 1976? Old Cars Weekly article based on an interview with former Morris bank manager Carl Smith (8 of the pictures taken here in Morris, the double-hitch plow photo on the west ridge of the valley between West Burlington and Burlington Green, they bypassed the curves when Louis B. Mayersohn (another Linn user specializing in rock excavation in the Adirondacks) blasted the rock cuts c. 1955. 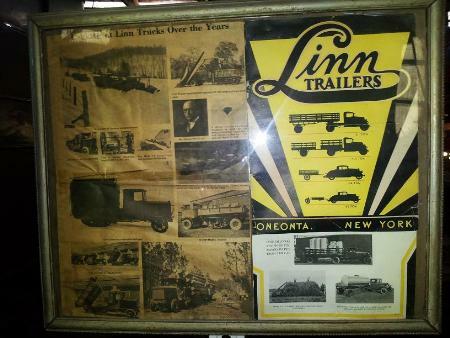 The Linn Trailer Co. Oneonta brochure at right I didn't know anyone else had a copy of that, I believe I dated the pictures to 1931-1932, it shows the insulated glass thermos bottle type milk trailer Linn designed but was not able to patent, he did NOT invent the U-Can-Back one wheel wonder trailer, and never claimed that he did, he bought the patent while in France. I tried to verify the serial number but couldn't. The truck in front of it is only about an inch away so it made it hard to read the serial number. The tag inside the cab is missing. Then someone will just have to buy it so they can find out what the number is? The local tractor club took a bus trip out today, but I'm not bidding on anything, and since the bus they are using belongs to the company I hurt my back while working for, I had vowed I would walk anyplace I had to go before ever setting foot on one of them again. You always new it, now I prove it..............You can all call me absolutely crazy now. The tired Iron Museum Linn has a new home in Maine.................................. YEEEEEHAAAAAA!!!!! I picked up the Linn yesterday. The serial # is 2695. That makes more sense than 2459 for a 1937. 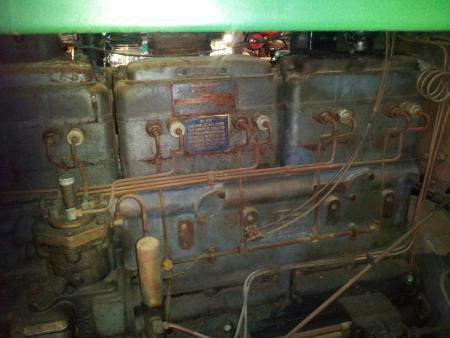 Original owner was the town of Walworth N.Y. 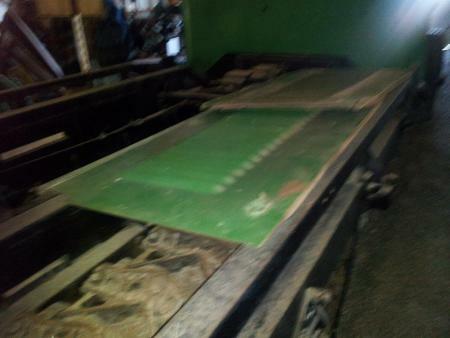 They used it as a snowplow. Unfortunately the plows are long gone. This Linn is in fantastic original condition inside and out. Are you looking for more chicken coops yet? I think I need to put an addition on the one I have. Daryl, just extend the roof until it looks like an A frame, should give you room for a couple more years of "growth".